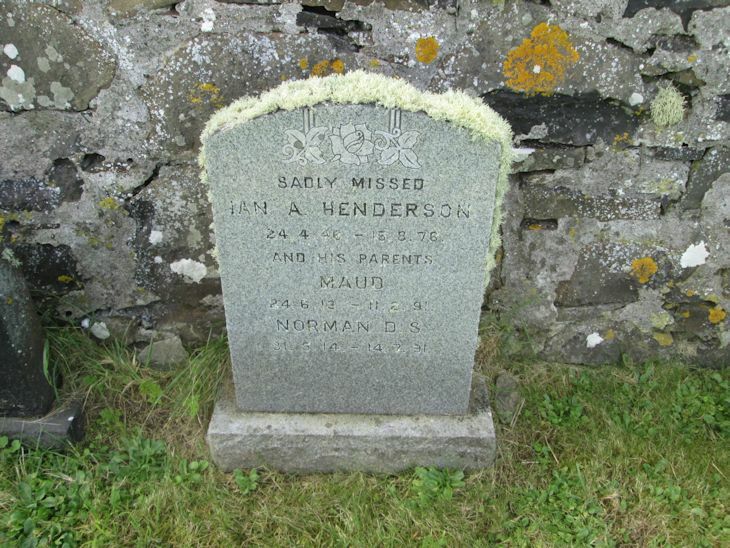 Skye Gravestones | Maud & Norman Henderson, s. Ian. Maud & Norman Henderson, s. Ian. Sadly missed/IAN A. HENDERSON/24.4.46 - 15.8.76/and his parents/MAUD/24.6.13 - 11.2.91/NORMAN D. S./31.5.14 - 17.7.91. Picture Added on 26 January 2014.